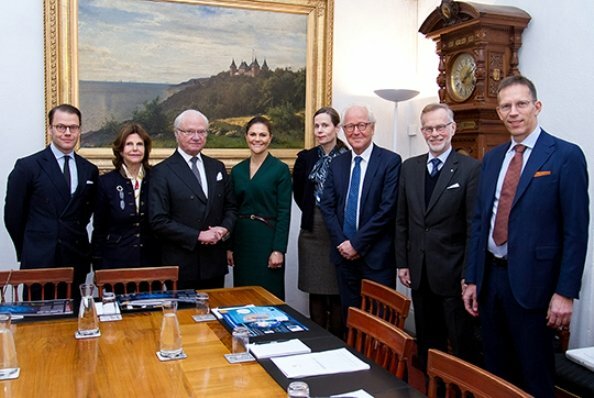 On December 5, 2017, Monday, King Carl Gustaf, Queen Silvia, Crown Princess Victoria and Prince Daniel of Sweden attended a meeting held with representatives of Nobel Foundation at Stockholm Royal Palace. A presentation of laureates of 2017 Nobel Prize was made to the King, the Queen, the Crown Princess and Prince Daniel. 2017 Nobel Prizes will be presented by King Carl XVI Gustaf on December 10, 2017, Sunday with a ceremony to be held at Stockholm Concert Hall. 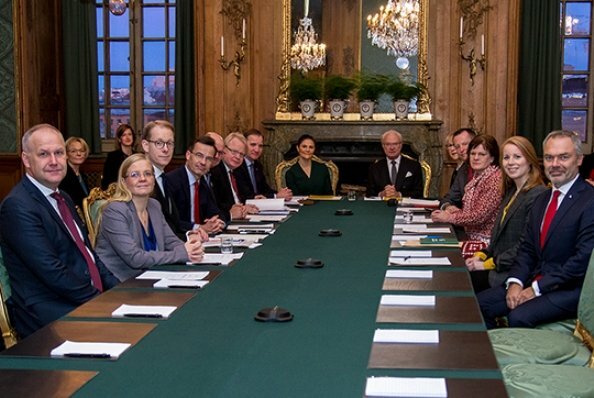 On December 5, an Advisory Council on Foreign Affairs session was held at the Stockholm Royal Palace. 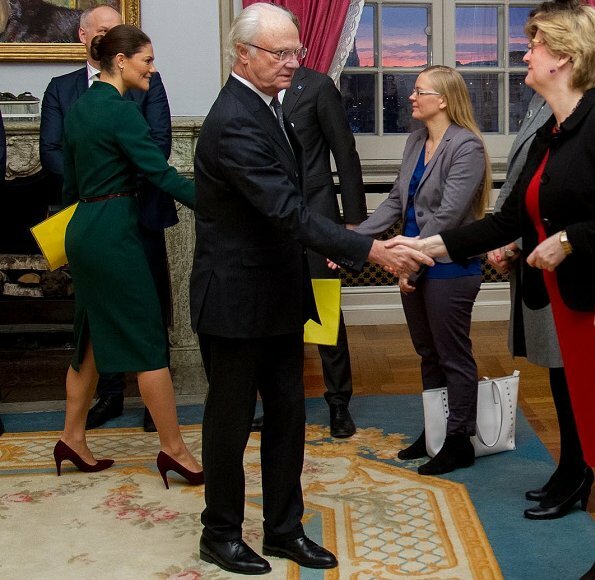 The Advisory Council on Foreign Affairs Council is a consultative body between the Swedish Parliament and the Government where the King sits as the Chairman. Crown Princess Victoria also sits on the Advisory Council on Foreign Affairs. 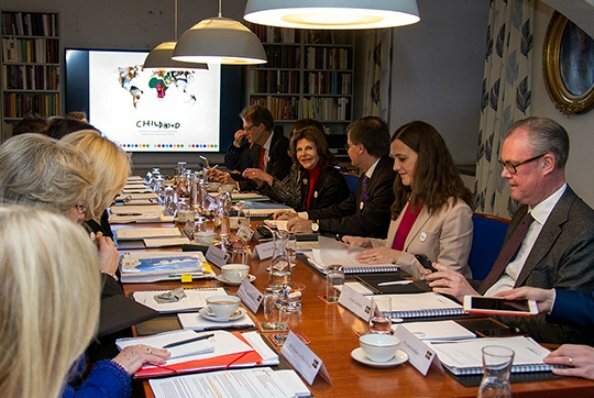 On December 4, Monday, Queen Silvia of Sweden attended Board meeting of World Childhood Foundation, held at Stockholm Royal Palace. The dress is too long on her. je trouve Victoria en forme... une cigogne est-elle passée ? Victoria has busy day in palace,as usual. The Crown Princess looks very professional. Perfect for the venue. 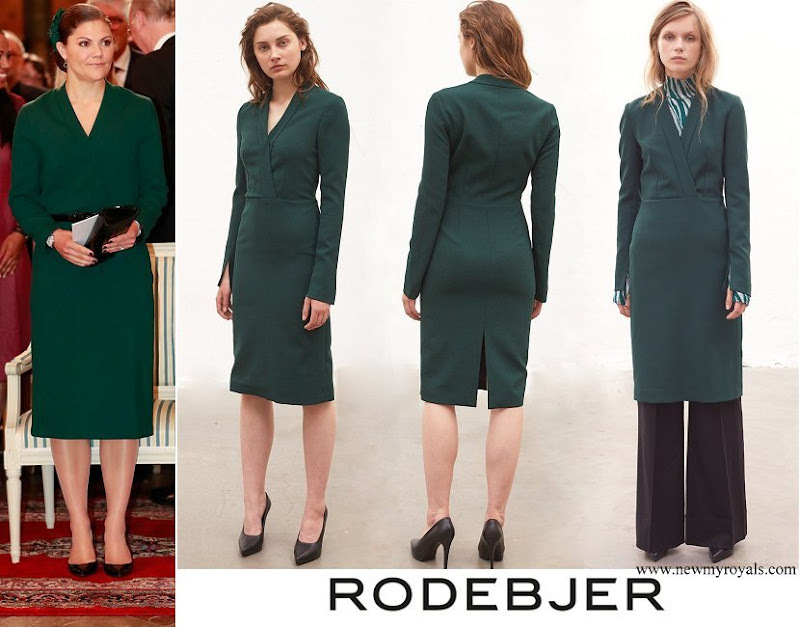 Good choice from Victoria to use a belt to that otherwise boring dress!